Lavalier Condenser Microphone Wireless premium supercardioid condenser lavalier mic for speech applications. 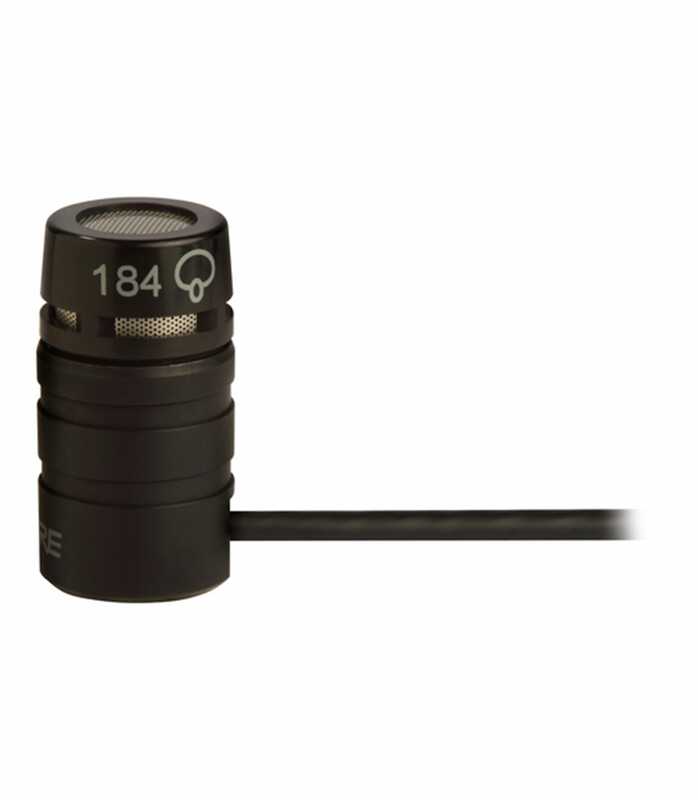 Recommended for sound reinforcement applications requiring high rejection of ambient noise and narrow pickup angle, the WL184 is an supercardioid lavalier microphone with a 115 degree pickup angle. It has a 1.2 meter (4 ft.) cable terminated with a miniature 4-pin mini connector. Included tie clip can be rotated in 90 degree intervals for placement flexibility. Use of windscreen highly recommended. Wl184 from Shure is 100% original and brand new. We, at Melody House take pride in our after sales service and support. For further details on the wl184, Shure, simply write to us to consult an expert or order online and we will take care of the rest. Happy Shopping!